Service organizations are meeting the immediate needs of their constituents and provide essential supports. 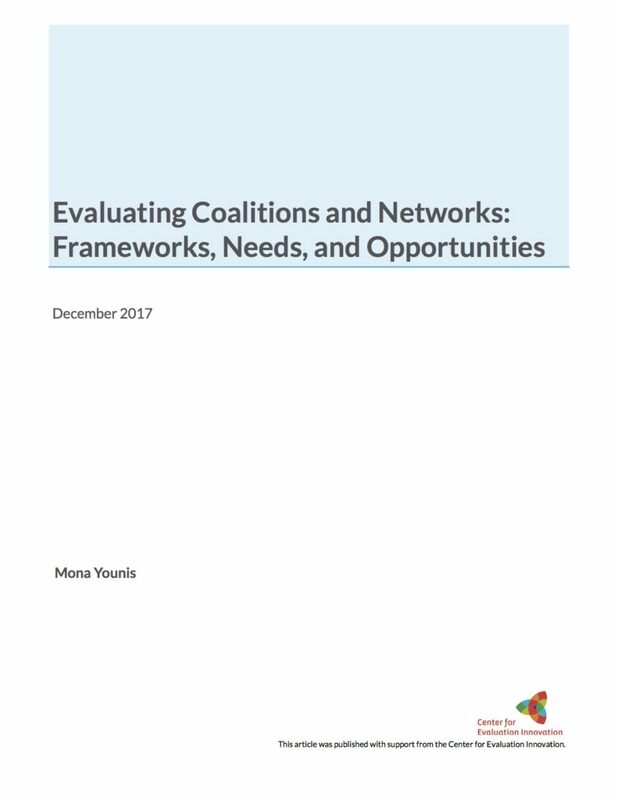 At the same time, many of these groups recognize how larger policies and procedures can make their job harder and limit options and opportunities of their program participants. With increasing inequality, slashes in public budgets, and greater demand on their services, nonprofits are looking for new ways to do their work. 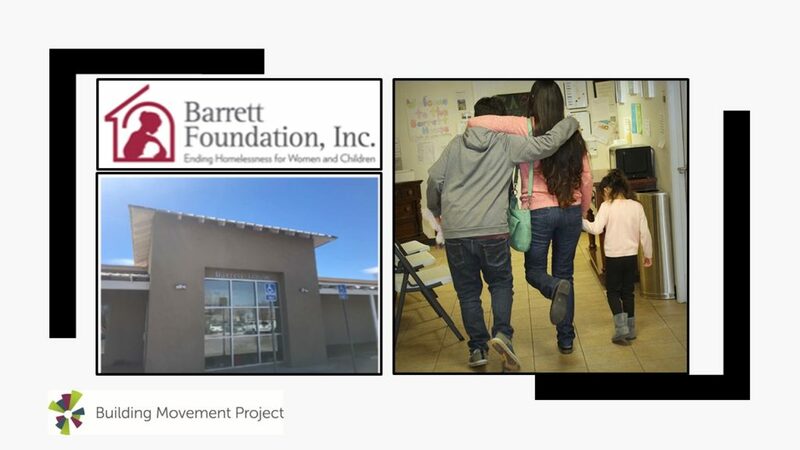 Several years ago, we were struck by the way some of our grantee partners were changing how they saw the people they serve, who are commonly seen as recipients or beneficiaries of the organization’s expertise and services. Instead, a growing number of groups worked with their program participants as partners in making change in their own lives, the organization, and in the surrounding community. We hosted a series of conversations with a dozen New York City nonprofit service delivery organizations to discuss the motivation, benefits, and challenges of embracing this way of engaging clients and community members. 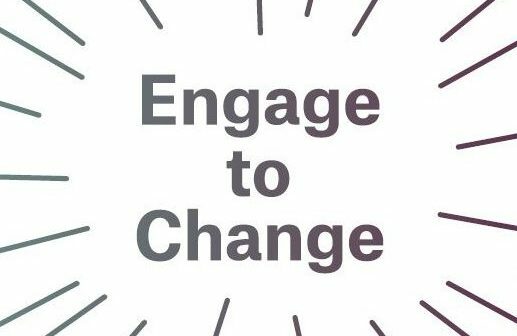 Engage to Change comes out of these discussions and a mapping process to catalogue the varied modes of doing the work. Our conversations were facilitated by the Building Movement Project which has a decade of experience working with nonprofits, especially service providers, on how they can integrate social change practices into their everyday responsibilities. We drew on the design skills of the Center for Urban Pedagogy in order to have a compelling, visual way to explain the changes that are taking place. 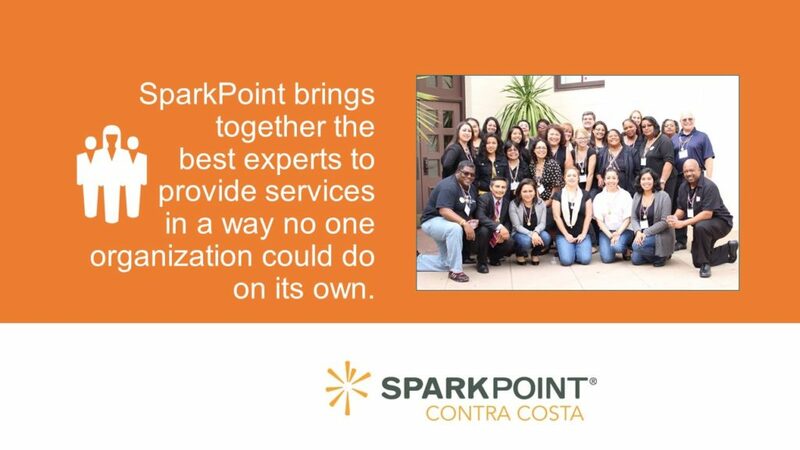 It offers service providers and funders concrete examples of why meaningful participant engagement makes a difference. 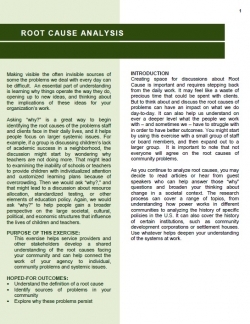 We also provide a list of resources that can be helpful for those who want more information. 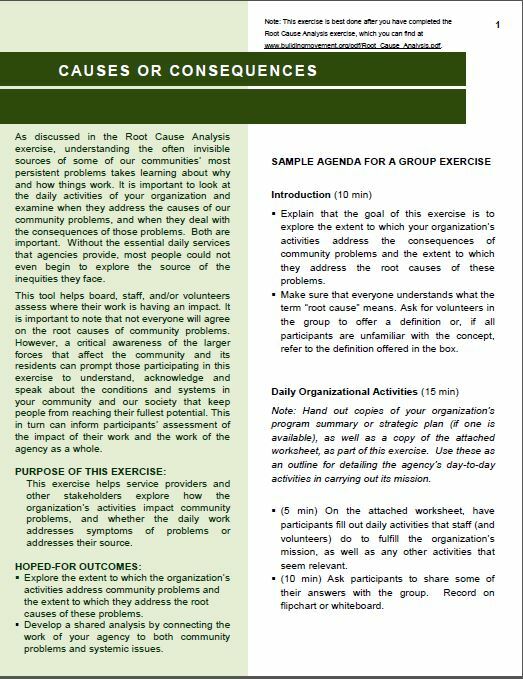 The set of strategies outlined here describes how some service organizations are integrating social change into their everyday work. Supporting the voice of their service recipients helps participants gain a sense of efficacy and gives organizations new ideas and power to make change. 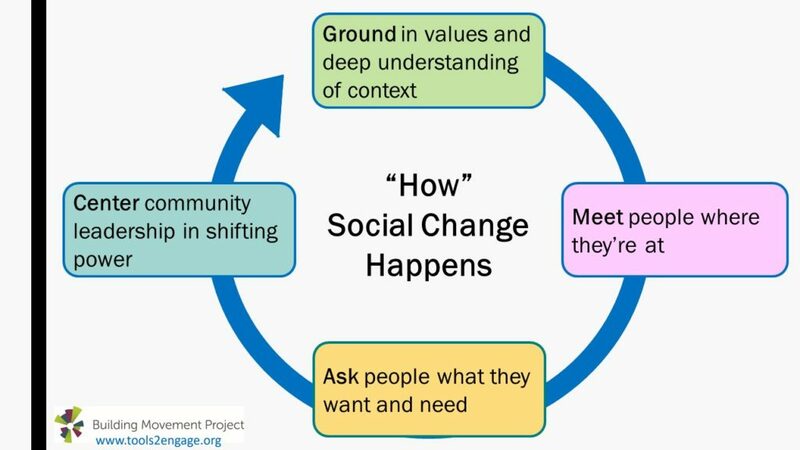 What would integrating service and social change look like for your organization? What are some steps you can take, no matter where you are in the process, to more actively engage your constituents? How can you build on skills you and your staff already have to make a seamless transition to policy advocacy? 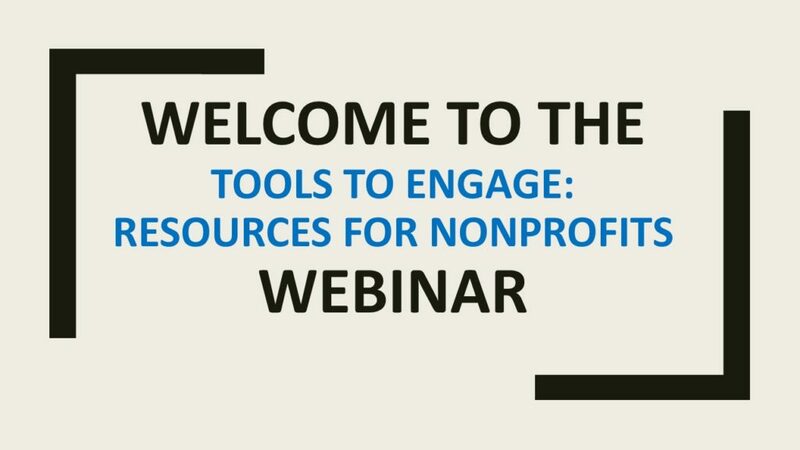 To address these, and many more questions, BMP hosted a webinar (part of our Tools to Engage webinar series) to lift up the work one organization is doing to integrate policy advocacy into the work they’re already doing. 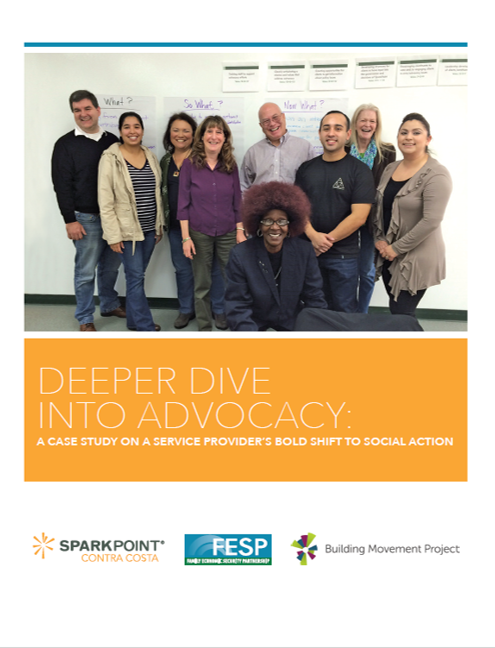 In an interview with project consultant Judi Sherman, Executive Director of SparkPoint Contra Costa, Betty Geishirt Cantrell, shared her organization’s experience of volunteering to engage in a “deeper dive” to assess their capacity to integrate policy advocacy into their current service provision and develop a plan for future action. Takeaways include an understanding of the factors helped make this “deeper dive” a success, how the process changed the organization, and how integrating service and social change might not be such a big leap after all. Watch the recording here, and download a PDF of the slides. The Building Movement Project (BMP) recently hosted a webinar designed to help listeners gain a deeper understanding of the root causes of hunger and the connections between racial equity, hunger, poverty, and wealth. 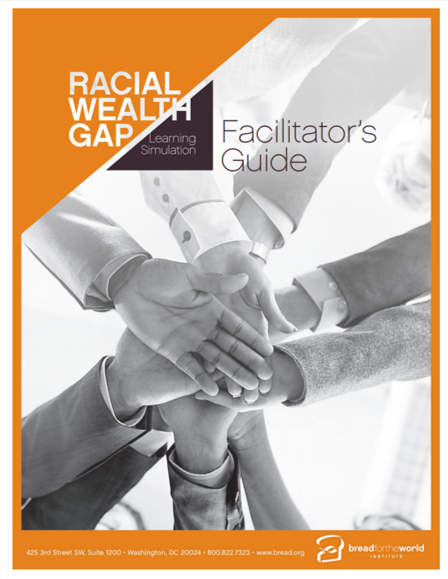 In an interview with simulation designer Marlysa D. Gamblin, Domestic Advisor for Policy and Programs, Specific Populations at Bread for the World we learned about Bread’s new Racial Wealth Gap Learning Simulation—an interactive tool that helps people talk about race and learn about the importance of racial equity. Simulation user Marla Karina Larrave, Associate Director for Grassroots Advocacy at National Sustainable Agriculture Coalition, then shared her organization’s experience of applying the tool and the external and internal impacts of the application, as well as challenges and lessons learned along the way. In case you missed the webinar, we’ve made it easy to watch a recording and download a PDF of the slides. Check out this video about the tool, too! 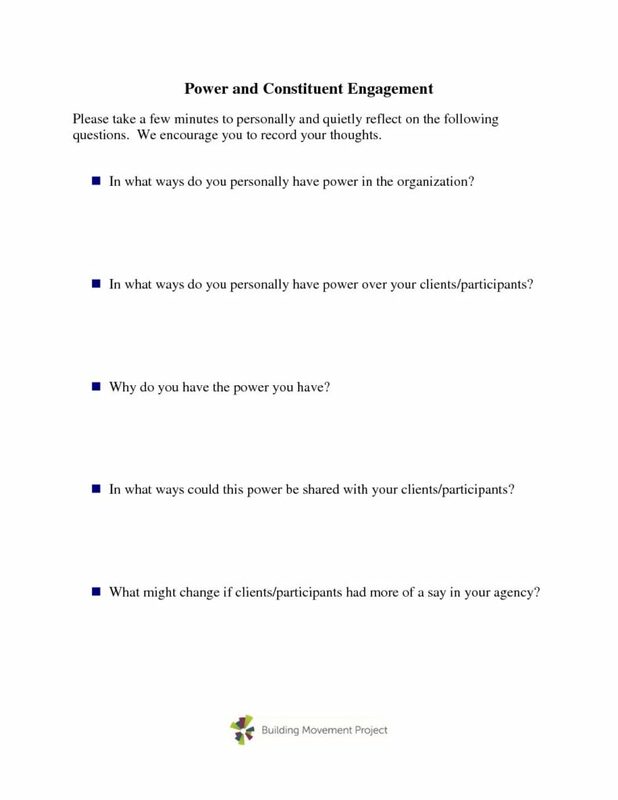 How can service providers and organizing groups work together to shift power? 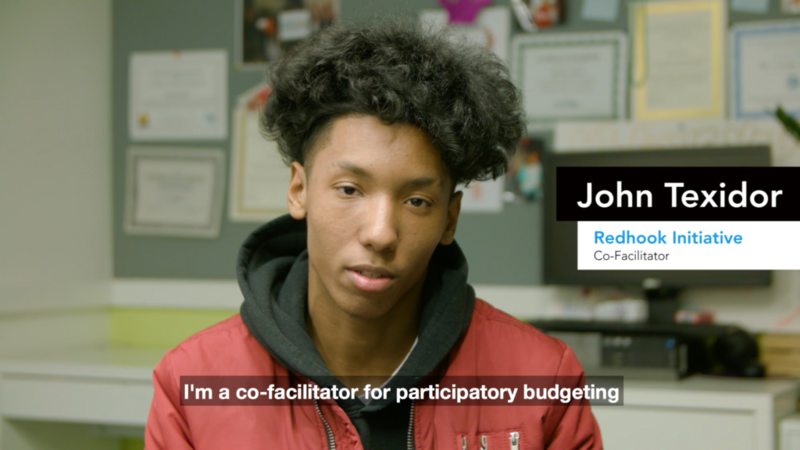 Find out in this 60-minute webinar featuring Reverend Roslyn Bouier from the Brightmoor Connection Client Choice Food Pantry and Kea Mathis, Family Engagement Organizer from the Detroit People’s Platform. Rev Roslyn and Kea share insights from the work they are doing in Detroit, and the components that make their approach and partnership unique and justice-oriented. In particular, they explain how their partnership helps connect the dots between food insecurity and public policies that undermine families and put them further at risk, while building community leadership to shift power. Viewers will leave with concrete examples, tools, and next steps for integrating service and social change to address the root causes leading clients to seek services in the first place. In this video we interview Cynthia Agyemang, Community Organizer & Amy Blumsack, Community Action Program Director with Neighbors Together. 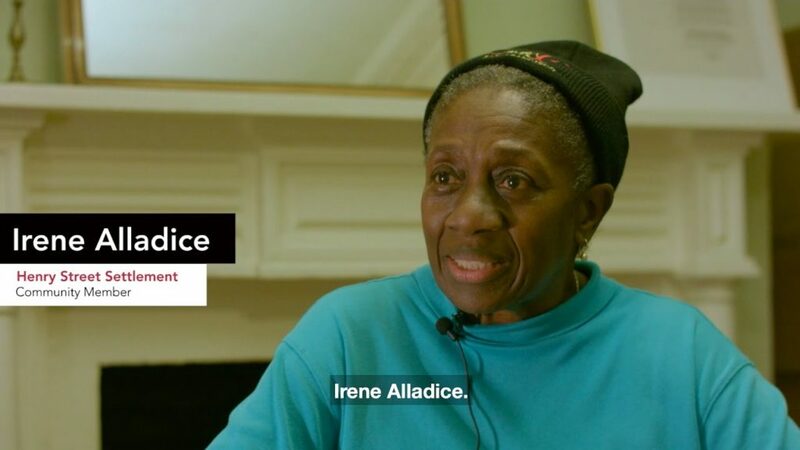 In this video we interview Jeremy Reiss, Deputy Development Officer & Irene Alladice, community member with Henry Street Settlement. In this video we interview Talia DeRogatis, Public Policy and Community Engagement Liaison & Gabriella Marrero, a student working with Henry Street Settlement. In this video we interview Jamel Burgess, Youth Organizer with Cypress Hills Local Development Corporation. 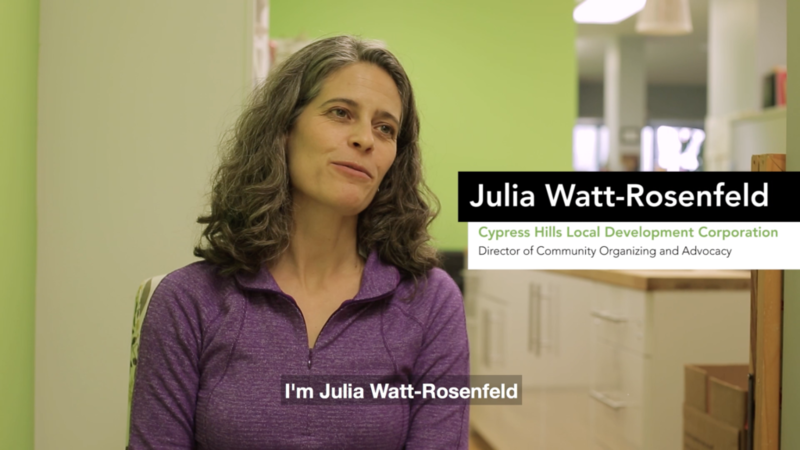 In this video we interview Julia Watt-Rosenfeld, Director of Community Organizing and Advocacy with Cypress Hills Local Development Corporation.